It is clear that for many farmers survival without an off-farm income will not be possible. Stock image. Q My wife and I have been farming since we got married almost 10 years ago. We have three young children and at present we are scraping by on the small income the farm is making. We are facing the reality that it is not practical for my wife to return to work off-farm as the childcare costs would wipe out any income she would make. I keep hearing about the economy improving but we are finding the reality is very different. What can we do? A As the economy returns to roaring health for some, it is important to remember that the rising tide has not risen all boats. The latest Teagasc figures estimate average farm income in 2017 to be €12,680 in the case of suckler farms and €17,000 on sheep farms. With the average industrial wage sitting at €37,000, it is clear that for many farmers survival without an off-farm income will not be possible. 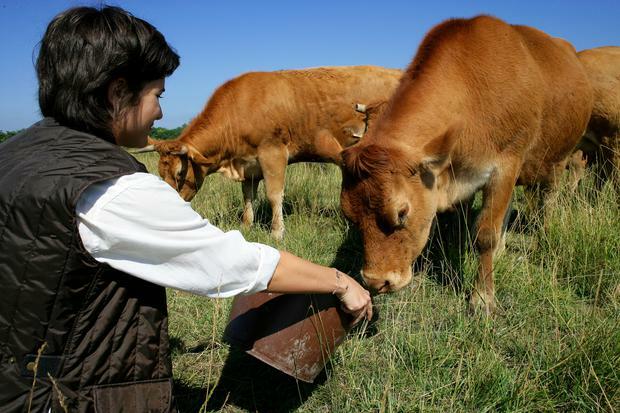 Like any business a farm is likely to be carrying debts and borrowings at some level. In bad years it is essential to manage these as they can end up costing a lot just in interest. Average interest rates for existing lending are between 4-4.5pc, while interest rates on new borrowings sit above 5pc in many cases. If you are carrying significant borrowings you should shop around for the better interest rates and consolidate borrowings if necessary. Also, watch for new schemes like the agri cashflow loan which came on stream in early 2017 and had an interest rate of 2.95pc. It could help keep down the cost of new finance and even assist with existing expensive borrowings. Despite an overall increase in Direct Payments to the sector which contributed to the overall slightly positive outcome at national level in 2016, the picture at individual farm level varied significantly, depending on participation in farm schemes, and the redistribution of the Basic Payment that is ongoing. However, if your farm was not eligible to take up some of the new measures which would have brought about an increased direct payment – eg young farmer top-up – you may not have benefited in any way. Every farmer should be considering the financial benefits that taking part in new schemes may bring. Look at options like the Beef Data Genomics Scheme and Knowledge Transfer Scheme, which may present extra income opportunities. Farm Assist is a means-tested payment for low-income farmers. The means test takes account of virtually every form of income. Different rules apply to income from farming and other forms of self-employment, income from certain schemes such as the Rural Environmental Protection Scheme (REPS), income from employment and income from property and capital. There are additional income disregards if you have children. When you apply for Farm Assist, a social protection inspector will call to see you and ask to see various documents. such as creamery returns, cattle registration cards and details of EU scheme payments. They will also want information on the sale of crops, cattle, milk and other produce. The inspector will then assess the costs actually and necessarily incurred in connection with the running of the farm. These costs may include rent, annuities, inputs like feed and fertiliser and the depreciation of farm machinery. Labour costs are taken into account, with the exception of the labour of the farmer and their spouse, civil partner or cohabitant. You are entitled to receive a copy of this farm income calculation. The current maximum personal weekly rate (for a person with no dependent children) is €193. This is increased by €128.10 for dependent adults, for example, your spouse and €29.80 for dependent children. In recent weeks there has been much talk about the new affordable childcare scheme and the universal funding, which is available through all registered crèches and child-minders since the August 21, 2017. In an effort to make childcare more affordable, all children between six months and three years will receive €20 per week towards the cost of childcare. There is no means test for this funding and it is paid on a pro rata basis for those who use less than five days’ childcare etc. What many people may not be aware of is the much increased funding available to families where one parent receives any of a long list of social protection payments (which includes Farm Assist). By providing your childcare provider with proof of this payment you are eligible for an €80 per week reduction in fees per child in full day care (for all children between six months and 15 years). If you receive any one of the eligible payments and hold a medical card for either parent or child you are eligible for a €145 per week reduction in childcare fees. For a list of the eligible social protection payments and to check your eligibility you should contact your local childcare committee. These new schemes will have a huge impact on the viability of returning to work for many lower-income families. Much like eligibility for Farm Assist, the rules around means-testing are numerous when it comes to eligibility for a medical card or GP visit card. If you are eligible to hold a medical card/GP visit card it would give some ease to the financial costs of GP visits etc for both adults and children over six. There are many factors which will set one farm apart from another when it comes to the income prospects but it is in everyone’s interest to be aware of the supports which are in place for all families who find themselves in financial difficulty. When inflation is taken into account, the real value of farm income has reduced significantly, and is now at approximately 70pc of the 2000 level.